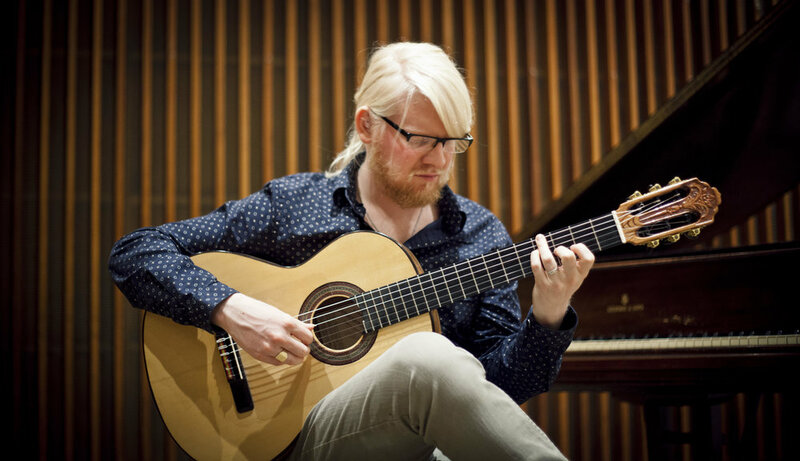 Born in Mendoza, Argentina, Federico Díaz is an upcoming versatile musician of the new generation of guitarists with a multi-faceted career as a performing artist, arranger and composer in the Classical and Argentinian music worlds. His performances have taken him to distinguished festivals and concert halls across the US, Europe and Latin America. His passion for chamber music lead him to collaborate with musicians such as Lionel Cottet, Daniel Binelli, Juan Falú, Bruno Cavallaro, Juan Pablo Navarro, among others. He has recorded for Sony Classical and Epsa Music. Federico studied at prestigious institutions such as National University of Cuyo, University Mozarteum Salzburg, Hochschule für Musik Hanns Eisler, and Manhattan School of Music. His former teachers include Eliot Fisk, Ricardo Gallén and David Starobin. Currently, he is finishing a Doctor´s Degree in Performance, at the Graduate Center of City University of New York, under the guidance of Frederic Hand.